Trying to find out how to factory reset Android devices? Then you’ve come to the right place. Factory resetting your phone or tablet can restore it to its former glory, make it faster, and solve various problems. That being said, here’s how to do it! Due to how factory reset works, you are sure to lose all your apps and data. Data that is stored on external storage like microSD cards should be alright. But, be cautious. Updato will not take any responsibility for your actions. If you end up deleting valuable data while performing a factory reset, you can only blame yourself. And with that being said, it’s strongly advised to remove your microSD card, just to be safe. Also, if you don’t want to download your apps one by one all over again, you should back them up. There are tons of ways to back up apps. But, arguably, the easiest one is to use some sort of backup app from the Google Play Store. Let’s move on with the guide. This is by far the easiest method to factory reset your Android device. The process may slightly differ from phone to phone to the phone manufacturers making their own ROMs. 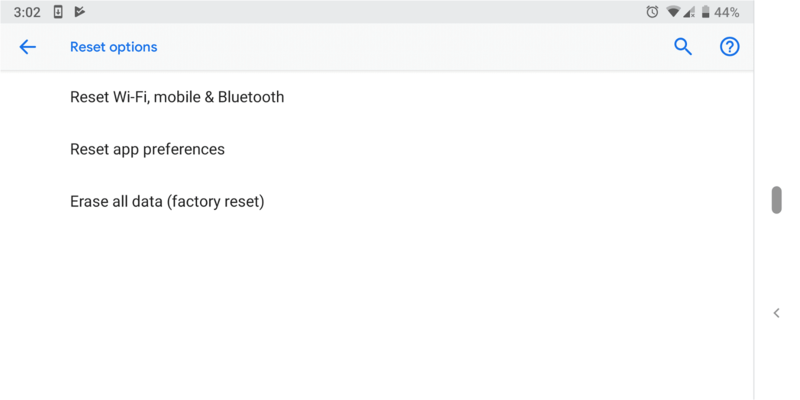 As you can see in the image above if you’re running stock Android Pie, all you have to do is go to your Settings -> System -> Advanced -> Reset Options -> Erase all data (factory reset). After that, you’ll get a similar warning to the one that we provided you with and you’ll be able to proceed with the factory reset. You’ll have to remember the PIN or password that you’ve previously set to proceed with this step. If you don’t remember it, then we’ve got one more option that may work for you in the next headline. In some other devices, you may find this option under the general management settings or under storage. So, you may have to make a bit of research on your own. Again, this is due to how phone manufacturers slightly change the Android interface with their own ideas. MIUI, Samsung Experience, One UI, OxygenOS, etc. 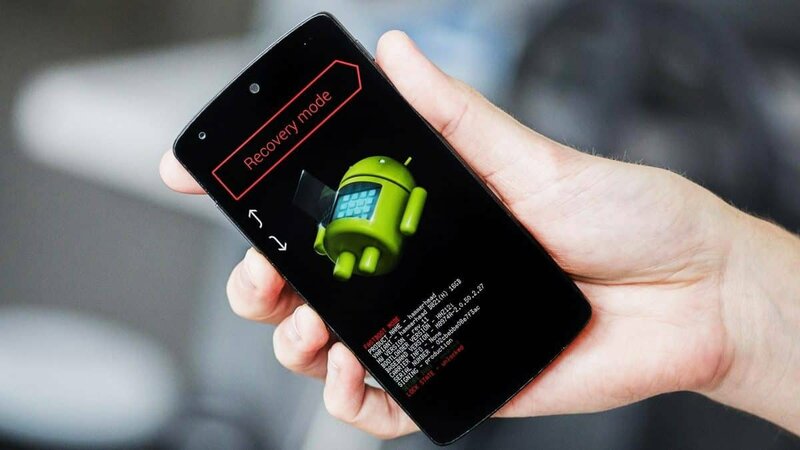 Recovery mode is a sort of hidden boot state/OS that you can use to flash a stock ROM, delete your cache, perform a factory reset, and more depending on what your phone manufacturer is providing you with. More often than not, the stock recovery mode simply allows you to perform a factory reset and that’s all we need for now. Again, the process of accessing recovery mode slightly differs from device to device. Generally, you want to make sure that your phone or tablet is turned off, then you use a combination of your hard buttons in order to boot into recovery mode. Typically, you need to hold down the power button with the volume up button or with both of the volume buttons until you are into recovery mode. If that doesn’t work out for you, we’d advise Googling your phone model and checking out a specific tutorial for it. Navigation in recovery mode is typically being performed with the hard buttons – especially with stock choices. So, do keep in mind that you most likely won’t be able to use your touch-screen while in recovery. Though, we’ve seen rare instances of phones having a functional touch-screen while in recovery as well. Once you’re into recovery mode, all you have to do is to navigate into the factory reset option – most likely with your volume buttons, and press it – most likely with your power button. After that, the factory reset option should begin. The option of performing a factory reset through the recovery mode is a lifesaver in certain cases. For an example, if you’ve forgotten your PIN or if you can’t boot into your system at all, then this is a great solution. Though, do keep in mind that this will likely trigger factory reset protection. 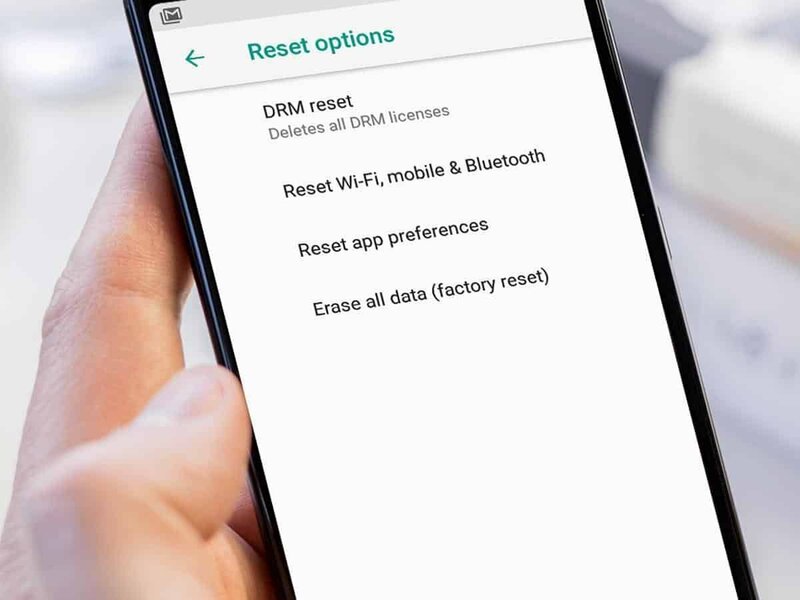 Factory reset protection, or FRP in short, is a protective mechanism to prevent thieves from simply resetting your phone in order to bypass your PIN and get access to the device. Now, if you’ve forgotten your own PIN, then this can be a bit of an issue. Unless you remember your Google login credentials, and you should! 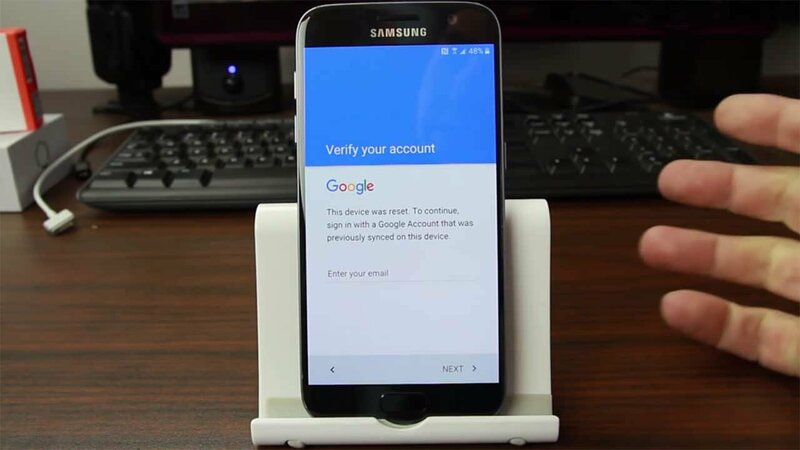 Because after the reset, you’ll be asked to login into the Google account that you originally used to setup your device. There have been cases where this protection mechanism has kept users from using their phones for a couple of days. That mostly happens due to Google password changes and reset. But, do keep that in mind before using recovery mode to factory reset your phone. The easiest way to avoid all of that is to simply factory reset your phone or tablet by using the settings. That should get you through a factory reset with no detours. What is factory reset? How does it work? Why use it? Factory reset deletes almost all of your data and restores your phone to how it was when you first got it. Hence the name “factory” reset. More often than not, it only deletes whatever resides in your internal storage. So, your microSD card should remain pretty much untouched. It’s still recommended to either take it out or backup important data. That being said, we always recommend backing up your data no matter the case because you never know what happens. SD cards use flash storage which may give up on you at any given time without warnings. Now, there are multiple reasons as to why people want to factory reset their devices. For once, it makes your phone or tablet feel brand new again. It greatly helps with making your device feels faster. After all, the vast majority of your installed apps that were taking resources are gone after a factory reset. This is also something that will often fix things like random system crashes, malware infections, and even boot loops. So, you can say that it’s an extreme version of “Have you tried turning it On and Off?”. That was our guide on how to factory reset Android devices. Hopefully, that helped you out. Stick around if you want more guides like this one.